Oh my, it's been a while since we updated you on what's going on around the dog agility blog-o-sphere...so let's get to it! List of registered participants sorted by country. USA team members listed at the bottom of this page. Agility Vision will be at EO video taping the finals of the event. The finals won't be live streamed this year, but you will be able to view the Video on Demand once it's uploaded (targeted for 8 PM ET, July 25th). You can pre-order the VOD by Friday, July 23rd to save $5 off the regular price of $19.99. The 2010 NADAC Championships will be held September 23-26, 2010 at the Cam-Plex Multi-Event Facilities in Gillette, Wyoming. Entries close on August 3rd. Agility Vision will be at the event video taping all runs. Special packages are available. Visit their website for more info. View the new rule changes including allowing 24" weave pole spacing, displaceable tire, new Veterans Program and more. Some new rules effective July 1, 2010, others effective for the 2011 and subsequent tournament and/or calendar year. Results from the Rocky Mountain and SouthWest regionals have been posted. EDIT: You can now view some of the results from the NorthWest regionals. 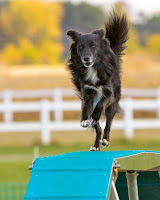 More info for Cynosport, October 12-17, 2010 in Louisville have been posted, including info on agility. New rules coming into effect for AKC agility from the May Board Meeting and include positionless table, 24" weave pole spacing, no more multipliers, no more up contact judging and more. Here is the link to the Board Meeting minutes, the link to the full new regulations, and a nice overview of all the changes courtesy of Magica Goldens blog. The final US team for 2010 FCI Agility World Championship, October 1, 2 & 3, 2010, Reiden, Germany has been announced, including those who qualified at the tryouts and those named to the team. Other country participants are starting to be added to the main site. You can also follow the FCI Agility World Championships on Twitter, (hashtag #agiwm). Agility Vision has a special preorder price of $24.99 now through September 17th or the first 1,000 orders (whichever comes first) for their Live Stream and Video on Demand of the entire 2010 FCI event. Click here to order the special package. If you purchase this video package you will receive a coupon code that you can use in the Clean Run store for $5off the 2010 FCI DVD. The full 2-DVD set of the "Best of the 2010 FCI Agility World Championships" will be available via Clean Run bringing you hundreds of runs from the event, including all of the runs by Team USA and Team Canada. The DVD will not be available until late November. However, Clean Run is currently accepting pre-orders. Place your order by October 3rd to receive the early bird DVD discount: $5 off the regular price of $29.95, plus free shipping. Silvia Trkman is planning an online video tutorial teaching her famous Cik/Cap turns that can shave seconds off your course time. Here's a teaser video (below), first video of the tutorial is live as of today. Here is info for purchasing (about $57 USD). Looks like she may be planning more tutorials for heeling and tricks, coming soon. And don't miss this new vid of Silvia's new pup Le. Silvia will also be in the US next year doing seminars in Florida, Michigan, Minnesota and Virginia, the end of January, beginning of February. Here is the info (click on upcoming seminars) for the Florida seminar, Jan 24-28 in Tampa. Watch her website for more info on other upcoming seminars. The first Dog Olympic Games will be held October 14-17 in Lignano Sabbiadoro in Northern Italy and is planned to be an event held every two years, featuring Agility, Disc Dog, Dog Dance, Flyball, Obedience, Rally, Nature Testing and more. Happy to see Linda Mecklenburg has been uploading some new YouTube videos in the past few weeks. If you haven't subscribed yet, do it! Always great to watch great teams. Better late than never :) Here are some great runs (and interesting courses) from the AKC World Team Tryouts, thanks to Agility Vision.